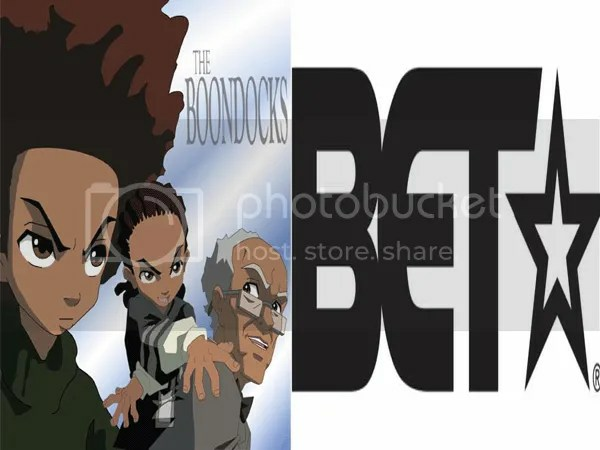 Boondock Vs. BET… WHAT HAPPEN NOW ??? As true as this may sound or how fictions it may sound but BET has impacted our youth in positive and negative lights. “It now appears official that TWO episodes of The Boondocks second season — clips of which surfaced on and then were pulled from Youtube — will not air. At all. Ever. Fans who were waiting for the show to reach the levels of controversy that last year’s Peabody Award-winning “The Return of Martin Luther King” episode achieved will have to cross their fingers and hope that Sony execs don’t also pull the episodes from the second season DVD, which is slated for late spring. You are currently browsing the archives for the BET – category.